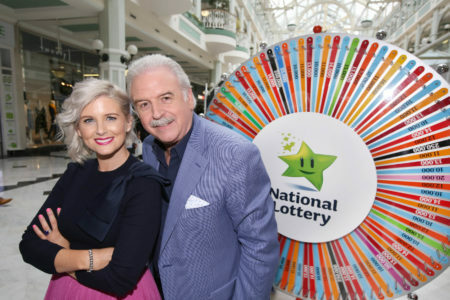 A Cork mother, originally from Limerick, will be doing her own father a good turn as she will appear on the National Lottery Winning Streak TV game show on RTÉ One this evening in his place. Janet Ryan who lives in Churchtown in Co Cork will be appearing on Winning Streak on behalf of her father, Edward Ryan this weekend. Janet lives in Cork but her dad and family are from Foynes in Limerick so when news filtered down to Janet it was assumed straight away that she would be the one to go on the show for her dad – after all she is the eldest child! Janet is more than happy to do the good deed for her dad and is looking forward to the Winning Streak experience – as is the rest of her family! She is the eldest of her siblings, three brothers who are Declan, John and Edward Junior. Janet has been living in the Rebel County for the past 12 years with her husband JJ. The couple have two boys – Dylan and Jaden who are beyond excited to cheer their mum on this weekend. They will be joined by Janet’s three brothers, her mum Joan and of course Edward Senior and other members of the family from Limerick. The Winning Streak National Lottery game show, co-presented by Marty Whelan and Sinead Kennedy, will be broadcast this Saturday evening at the earlier-than-usual time of 19:30 on RTÉ One. The show features some perennial favourite games as well but also brand new games including Play or Pay, Roll for Riches, WinFall and Electric Dream – where one player will win an electric car worth €25,000.